Hi friends! How are you!? I have been a little absent from the blog for the past week or so, as I am in the midst of changing jobs. There is a little more to the my job change, but I’ll save that life update for another post. Today, I am sharing the best Labor Day sales for this year. If you haven’t heard, get excited. There are some really good ones, with a wide range of fashion, beauty and home goods! This is a perfect time to take advantage of the low prices and stock up on items for fall or those year-round basics. 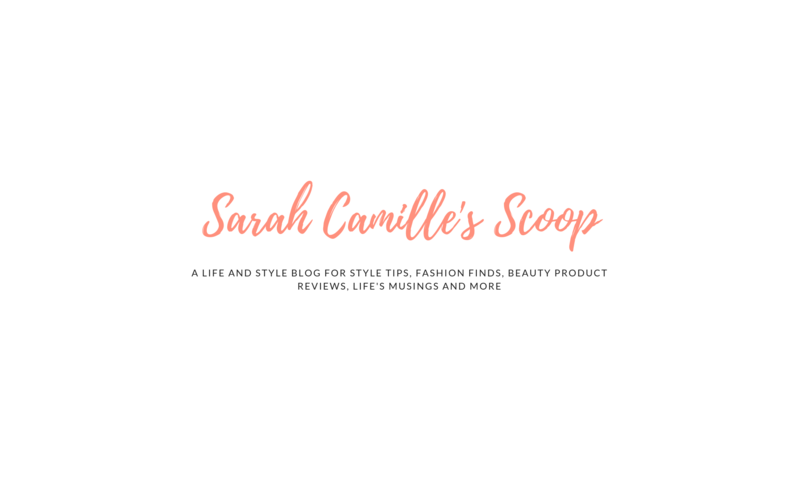 Before we dive into the sale details, here are a few particular items I am currently loving and a few things are sitting in my shopping cart waiting to become mine – ha! Now that I have shared some of my personal favorites, here’s the roundup with all the details you need to know so you can fully capitalize on all the shopping opportunities. Note: If you are reading this on Thursday, September 30, check back on Friday for new sale updates. I will update this page when other big sales are announced. Through September 3, take up to 30% off, plus an extra 15% off furniture! No code needed. In stores & online, get 30% off new arrivals plus an extra 10% your purchase through midnight on September 4. Use code BIGSALE. Enjoy up to 25% off during their buy more, save more event, which goes through Monday, September 3. Discounts are are automatically applied when your purchase contains the minimum spend, as follows: 15% off for spending $100, 20% off for spending $150 and $25% off for spending $200 or more. Take 20% off of orders of $50 or more when you enter the code BACK2STYLE at checkout. Only one redemption is allowed per customer and this deal goes through Monday, September 3. Oh and GOOD NEWS — the super comfy and cute metallic slide-ons I wore on our trip out to California are on sale for $25!! Get 40% off full-price styles starts plus an extra 50% off sale items through on Sunday, September 2 at 12:00 AM EST. To receive offer online, use code READYSETSALE at checkout. Take 50% off everything, including new arrivals in stores and online (some exclusions apply). Plus, take an extra 50% off clearance. Use code SALEAWAY through midnight on Monday, September 3. No code needed to enjoy 20-55% off select items through Monday, September 3. Get free shipping with promo code X100DAUAJ4J. Ends 9/5. They have a great selection of handbags on sale from designers like Kate Spade and Rebecca Minkoff. All jeans, tees, sweatshirts and dresses are 50% off through , and tees, now through September 4. Take an extra 10-20% off select departments and enjoy free shipping with the code WKND, now through Monday, September 3. Shop 50% off select endless summer styles through Wednesday, September 5. Through Monday, September 3, Beauty Insider’s enjoy 10% off with code YESINSIDER. Rouge Members get 20% off purchases with code YESROUGE. Unlimited purchases in stores. Online, the code can only be used once. Get a 20% coupon with qualifying purchases when you use code: 679729. This deal goes through Saturday, September 1. Enjoy up to 70% off more than 1,000 items! Plus, now through Monday, September 3, get up to 30% off your regular-priced order by using code SAVEMORE. Save 15% on merchandise order totals of $100 or more, 20% on merchandise order totals of $500 or more, 25% on merchandise order totals of $1,000 or more, and 30% on merchandise order totals of $3,000 or more. Use code FALL to get 20% off your order and free shipping. Plus, get an extra 30% off clearance with code EXTRA. Now, I’d love to hear about your shopping plans. What do you consider to be the best Labor Day sales for this year? Are there any items you plan to snag while their on sale this weekend? Also, if you don’t plan on shopping this weekend, let me what you’ll be up to. For me, Will and I will be heading out to the Virginia countryside for some relaxation. Weather depending, we hope to get some kayaking and/or river tubing in! I hope you all get a chance to enjoy the weekend and savor the last bits of summer weather. Cheers & have a great Labor Day weekend!